A former FBI agent who worked in the Kennedy assassinations believes the conspiracy theories may have resulted from suspicions after the FBI decided to initially withhold some information, reports the Salem News. He still believes Lee Harvey Oswald acted alone. 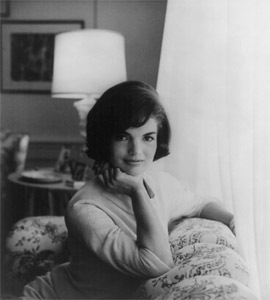 Former agent Jim Graham of Overland, Ks., says the FBI withheld initially, at the request of Jacqueline Kennedy, evidence indicating the bullet that killed Kennedy came from Oswald’s position and his rifle, according to the Salem News. That, he says, may have created the conspiracy theories. “Mrs. Kennedy did not want this evidence released immediately because she did not want her children to see it,” Graham told the paper. Graham was a street agent in Kansas City at the time of the assassination, listening in over the radio from his car as it happened. Two days later Jack Ruby killed Oswald and Graham wound up investigating the incident in Dallas with hundreds of other agents. His work made it into the Warren Commission report, the large investigation into the murder. Graham firmly believes Oswald acted alone. “Oswald was a small person who always wanted to be somebody,” he told the paper. “Killing the President of the United States was his claim to fame.” Graham believes Oswald would have confessed had he not been killed. To read more about Graham’s career click here. Posted: 11/22/11 at 11:26 AM under FBI, News Story.